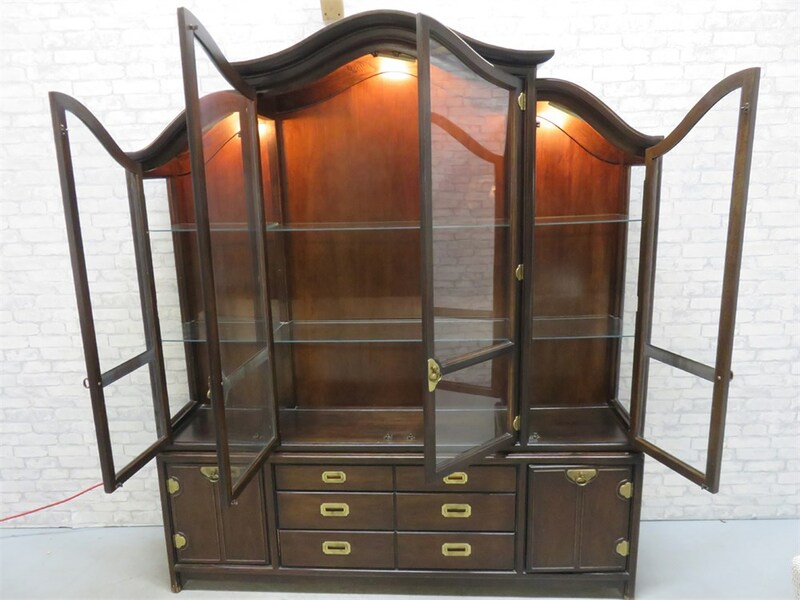 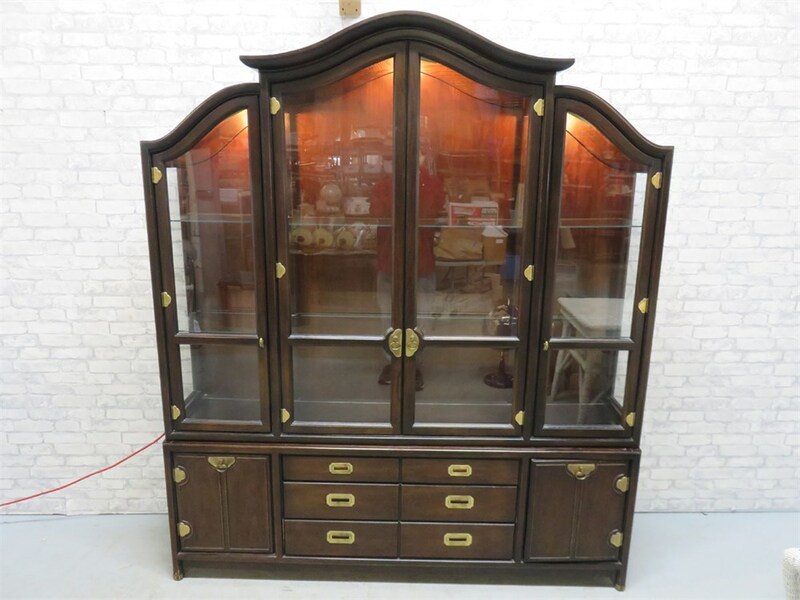 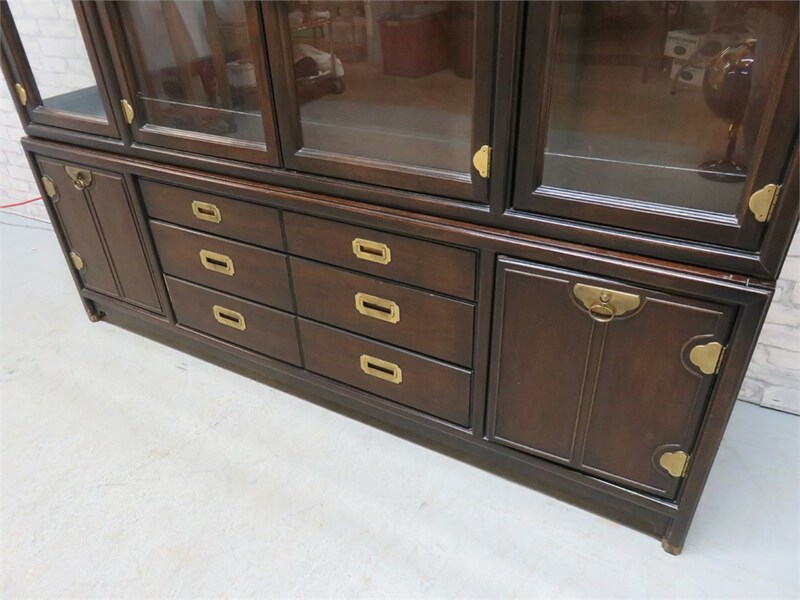 A gorgeous Asian inspired 2-piece lighted china hutch from Hickory Manufacturing Co. 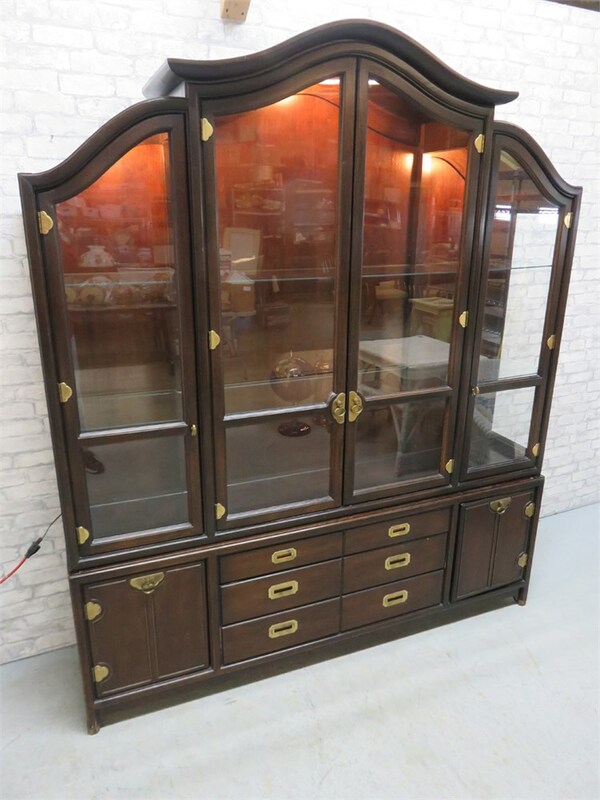 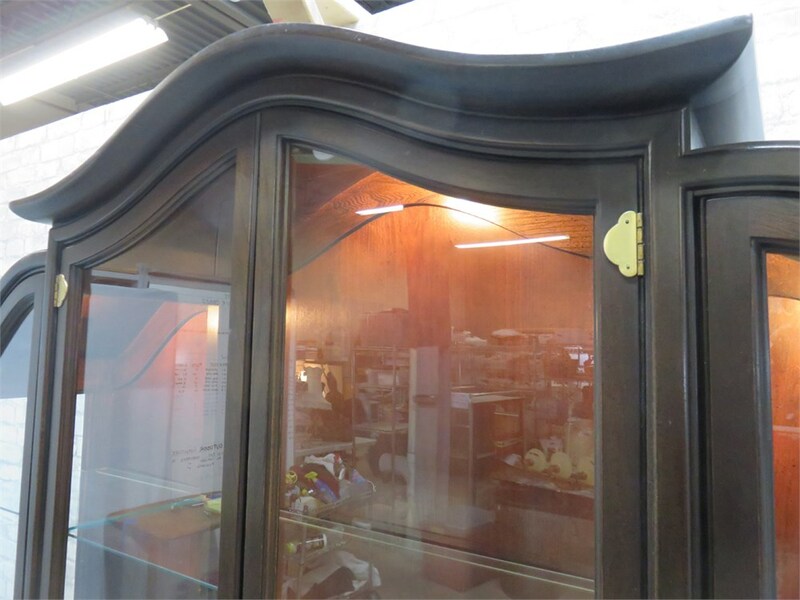 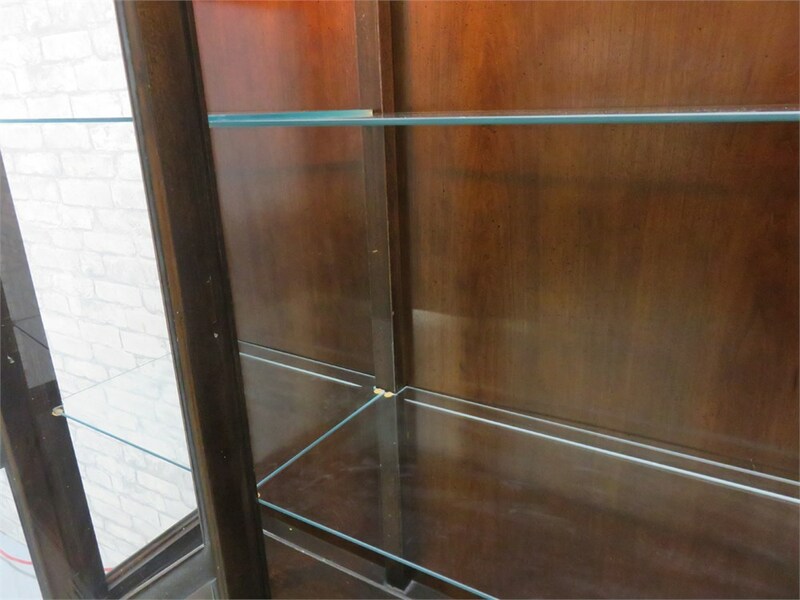 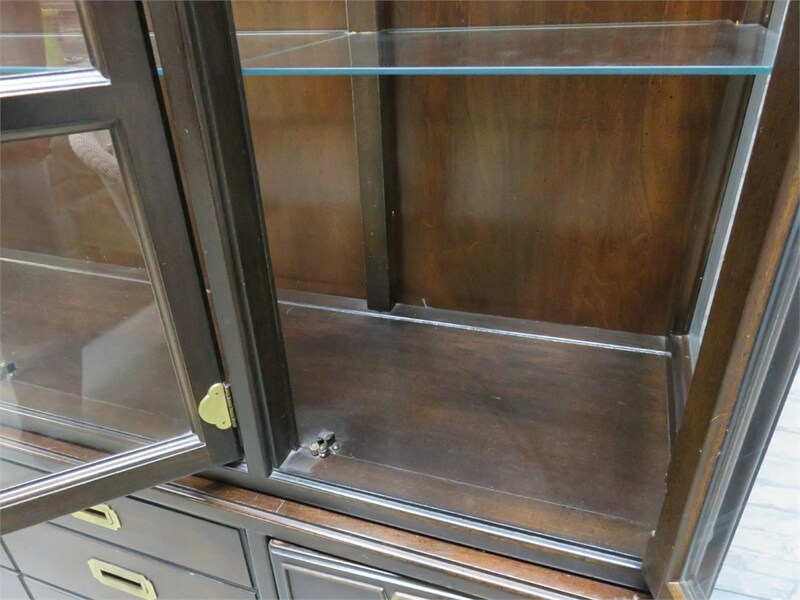 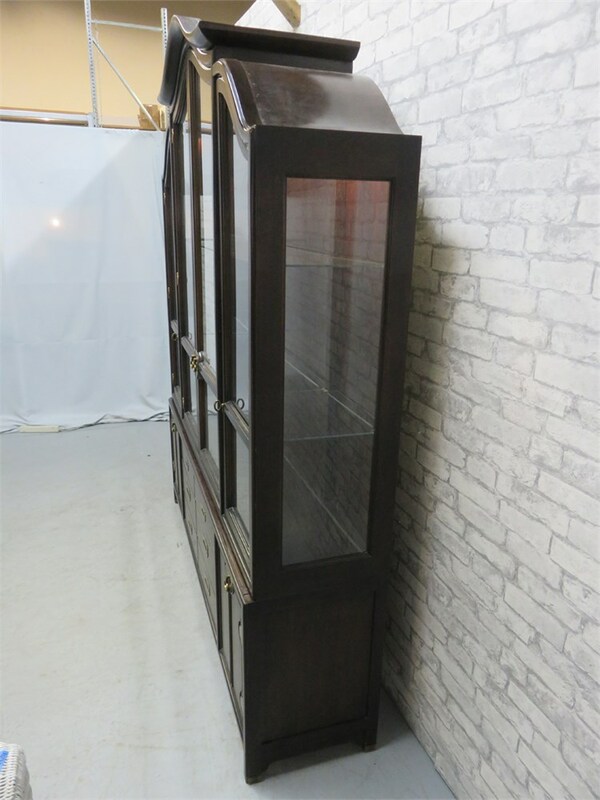 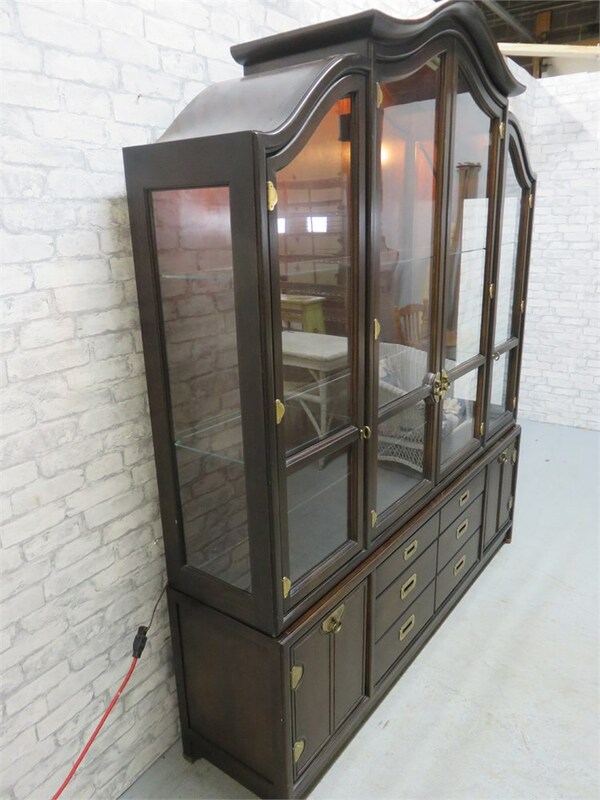 Features 4 large glass panel upper doors that provide a wide open view of your precious china pieces, which will display beautifully on the 6 interior glass shelves. 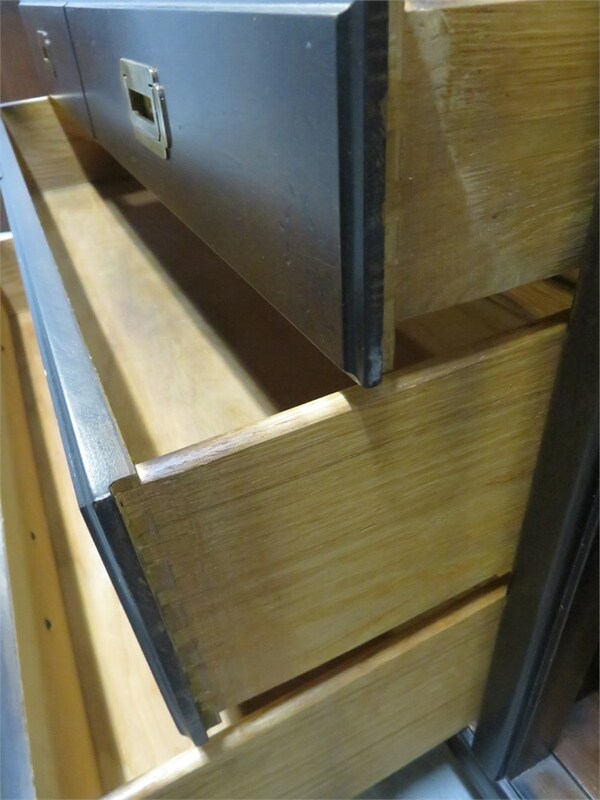 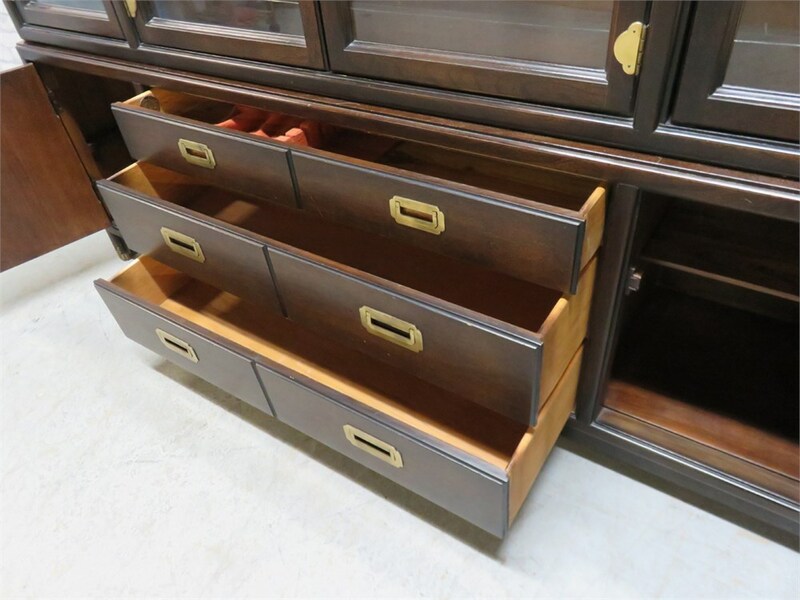 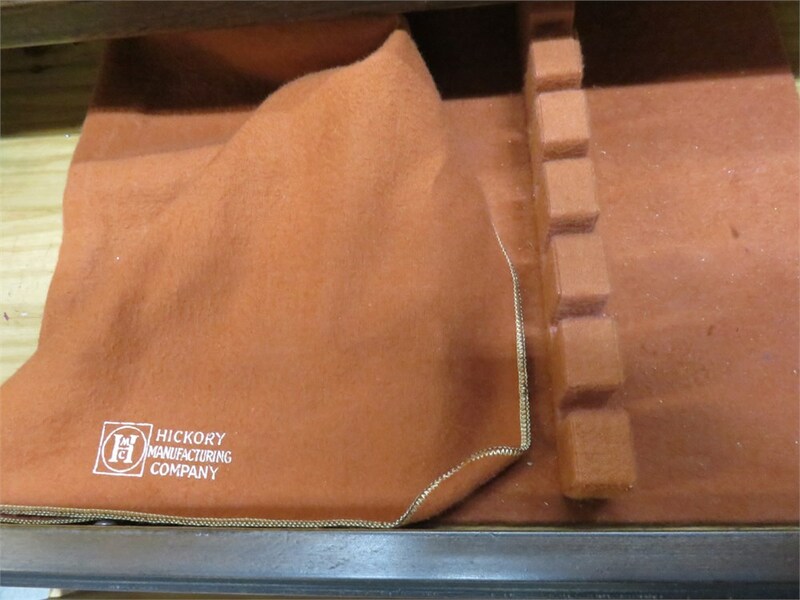 3 dovetail drawers and 2 lower compartments provide additional storage space. 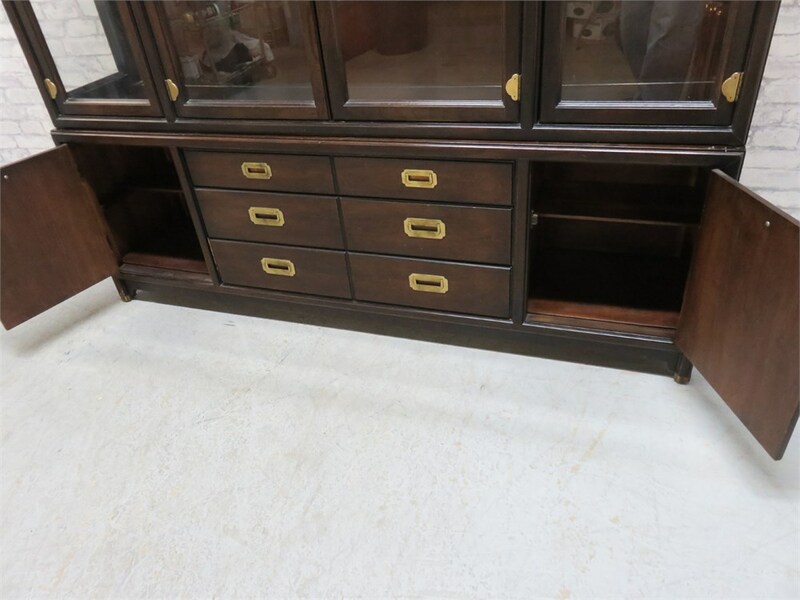 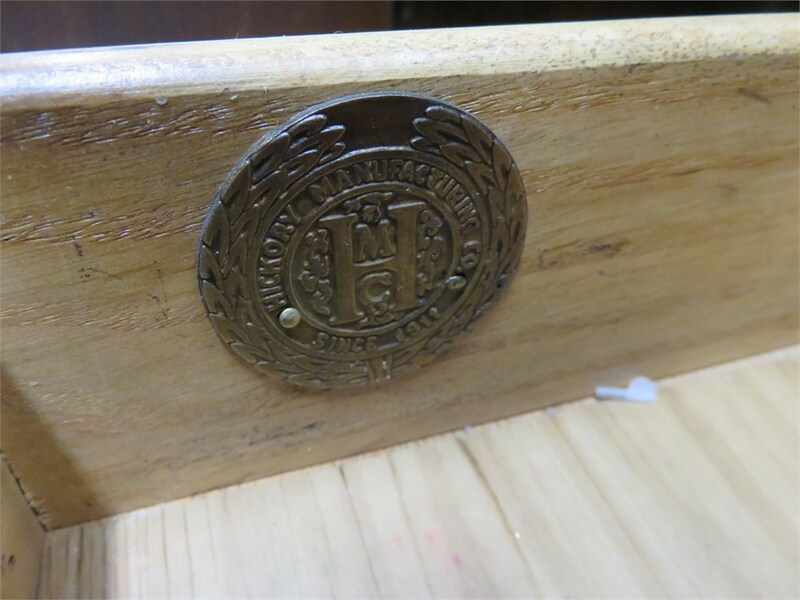 A matching dining table set is listed in lot #7.